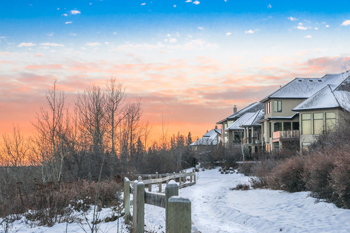 How a top realtor in Edmonton prepares your home for sale during the winter. An Edmonton winter doesn’t slow you down when you’re one of the top realtors in the city of festivals. As a top realtor, my team and I know that you don’t need to wait until spring when the snow melts to list your home, apartment or condo for sale. In fact, we encourage homeowners to beat the spring rush and get your home listed while the snow is still falling. Here are a couple of great reasons to list your Edmonton home for sale on the MLS before the tulips and daffodils start blooming. 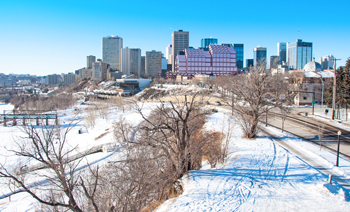 With lower real estate inventory over the Edmonton winter months it makes sense to capitalize on the lull. We have a lot of MLS listings that hit the market seemingly all at once during the spring and homeowners can feel pressure to compete on price. During the winter months there isn’t as much competition for showings. By listing your Edmonton home for sale over the winter months you can also increase your exposure without the added marketing costs. You’ll find that listing your home for sale in the winter will help to attract more serious buyers who are in the position where they need to move. The spring can bring out more potential buyers who are still in the just looking phase. Whether they fall in love with your home and place an offer will remain to be seen, but we do find that those looking at your place in the middle of winter during or after a snowstorm are looking because they are in serious need of a new home. If you’re considering listing your home, condo or apartment for sale in Edmonton, I would love to meet with you and discuss even more tips on how we can get your home marketed on the MLS and determine where your next move is. Should you use a realtor to buy a house?